With more and more people discovering the benefits of contact lenses and acknowledging the need of vision care, the demand of contact lenses has surged up. It’s about your eyes, so you cannot vaguely switch to any random product for your delicate senses. Bausch and Lomb contact lenses have been consistently leading the Indian markets for its contact lenses. The brand, which has been serving the vision care products globally for 150 years, has stood the tests of time in serving people everywhere. Products offered by Bausch and Lomb to correct near and far sightedness are: Optima 38/SP, Pure vision, Pure Vision 2 contact lenses, SoftLens 38, SoftLens 59, SoftLens daily disposable. 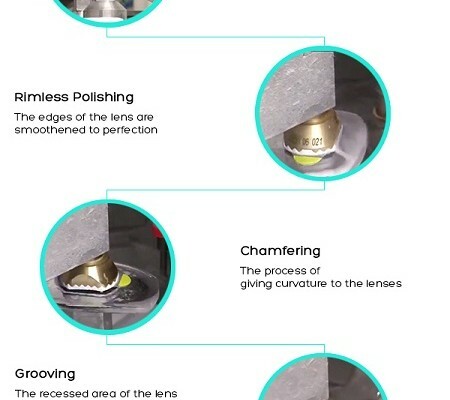 Pure vision 2 for Astigmatism, Pure Vision Toric contact lenses, SoftLens Toric contact lenses, Optima Toric contact lenses, SoftLens daily disposable Toric for Astigmatism, are available for correcting this defect. Pure vision multi-focal, SoftLens multi-focal, Boston Multivision GP are the types of contact lenses that Bausch and Lomb offers to correct this eye defect. High definition contact lenses: This resolves the problem of spherical aberration, which is more pronounced in low lighting conditions. HD demo contact lenses: They provide a better vision in low lighting conditions. Colour contact lenses: These include lenses that are coloured. 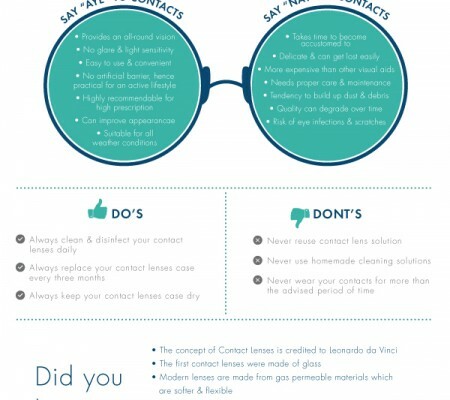 Toric contact lenses: These have a combined surface of sphere and cylinder, and are used to correct Astigmatism and refractive error where all parallel rays from an external source of light do not converge at a single point on your retina. Bifocal contact lenses: They are designed with two distinct optical powers, and are usually prescribed for people with presbyopia. Being a part of the e- generation, you would be using internet for almost all purposes. Now, use it for shopping as well and shop online for Bausch and Lomb contact lenses to enjoy a high definition vision. Bausch and Lomb contact lenses are made of non-oxygen permeable and rigid PMMA material. Also, silicon hydrogel is used in their manufacturing which are highly oxygen permeable and allow lenses to be worn for long hours, still keeping your eyes healthy and clean. 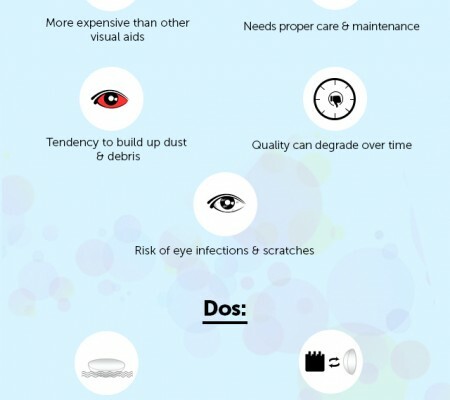 Contact lenses offer numerous benefits over specs. They enable more ease during sports and leisure activities and even resistant to fogging to a great extent. One can also wear sunglasses on eyes which is not possible if you use specs.